Pseudanthias luzonensis (Katayama & Masuda 1973), the Yellow-Lined Anthias. To five and a half inches long. 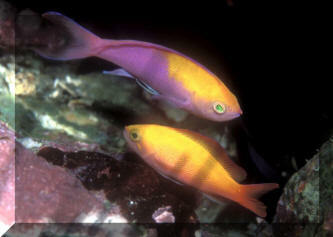 Males with three yellow lines and red spot on their dorsal fin. Male off Gili Air, Lombok, Indonesia. 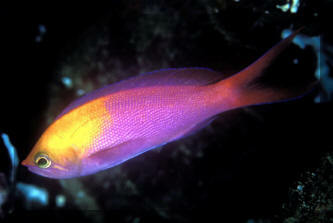 Pseudanthias regalis Randall & Lubbock 1981. Eastern-Central Pacific; Marquesas. 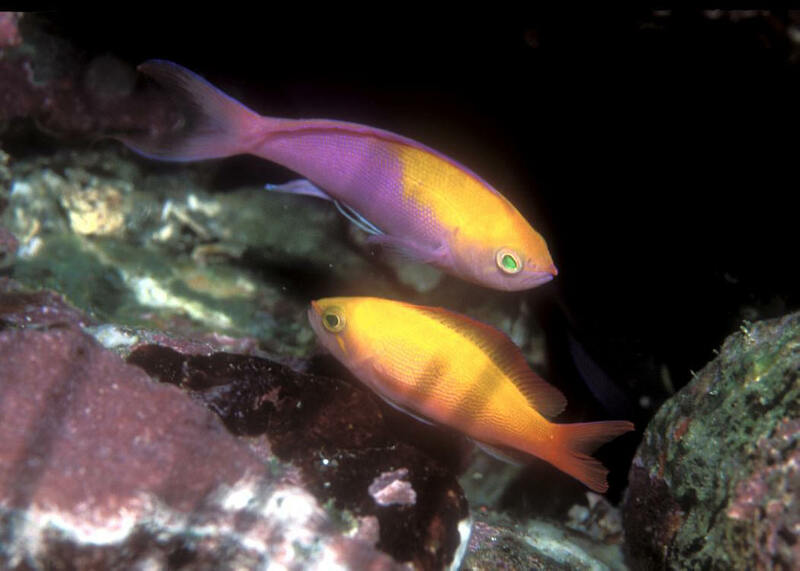 Pic taken in Nuka Hiva of a male and female. Pseudanthias regalis Randall & Lubbock 1981. Eastern-Central Pacific; Marquesas. 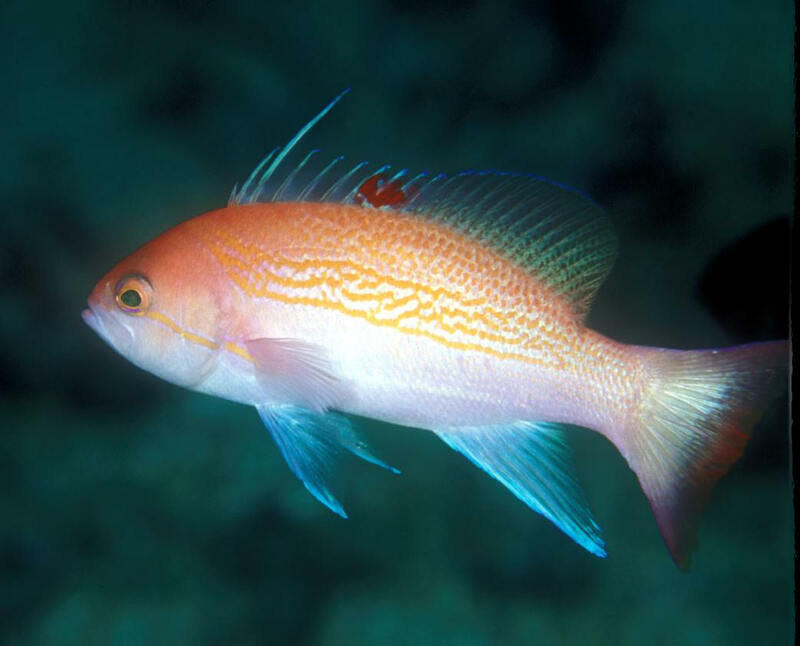 Pic taken in Nuka Hiva of a male. The most commonly offered Eelblenny (aka the Green Wolf Eel) in the hobby, Congrogadus subduscens (Richardson 1843). At Morgan Lidster's years back.